The Cents will have last year’s leading scorer Zach Risteau back in 2017-18. The 19-year-old from Lakeville, Minnesota had 26-24-50 in 53 games with the Centennials as a rookie in 2016-17. The Prince George Spruce Kings were faced to make a move in goal with word that veteran Stefan Wornig is out for the season with muscle cramps. Wornig hasn’t played a game for PG since the beginning of November after amassing a 6-6-2 record with a 2.76 GAA, a .908 save percentage and one shutout this season. 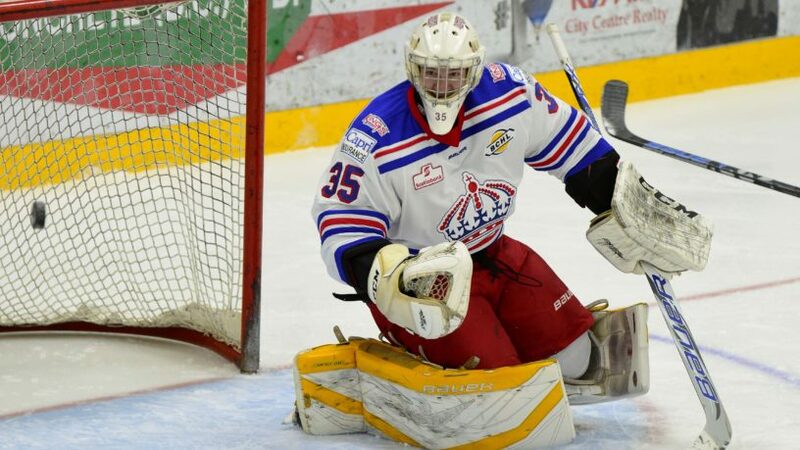 The 19-year-old from Surrey, BC came to the Spruce Kings in the off-season after two years with Powell River. His BCHL career record is 17-28-2 with a 3.22 GAA, a .905 save percentage, and two shutouts. Wornig has been placed on long-term injury reserve by Prince George. To fill the void left by Wornig’s absence, the Spruce Kings have signed Aris Anagnostopoulos from the junior B Kamloops Storm. The 18-year-old was an affiliate player for PG this season, playing 9:04 in a game against Salmon Arm on November 26th. He made five saves and didn’t give up a goal. This season in the KIJHL, the Kelowna, BC product is 7-7-1 with a 2.63 GAA and a .916 save percentage along with two shutouts. Powell River has released defenceman Ben Raffler after acquiring Matthew Cairns via trade from Georgetown of the Ontario Junior Hockey League. The 18-year-old Raffler skated in 18 games with the Kings this season, putting up three assists. The Burnaby, BC product had his junior B rights traded from Comox Valley to Campbell River in the Vancouver Island Junior Hockey League in November, and he’ll join the Storm now after being released by Powell River. Forward Andrew Ebbett (Salmon Arm, 2001-02) has signed a two-year contract extension with Bern of the Swiss League. The Vernon, BC native has 13 points (six goals, seven assists) in 18 games with Bern this season, his second with the club. He recently tallied eight points (four goals, four assists) for Team Canada as it captured the 90th Spengler Cup. The 34-year-old is a veteran of 224 career NHL games with Anaheim, Chicago, Minnesota, Phoenix, Vancouver, and Pittsburgh. Goaltender Michael Garteig (Quesnel AP/Powell River/Penticton, 2008-12) is on his way back to the ECHL after being assigned to the Alaska Aces by the AHL’s Utica Comets. In four games for the Comets this season, the Prince George, BC product has a record of 0-1-1, a goals against average of 2.85, and a save percentage of .907. 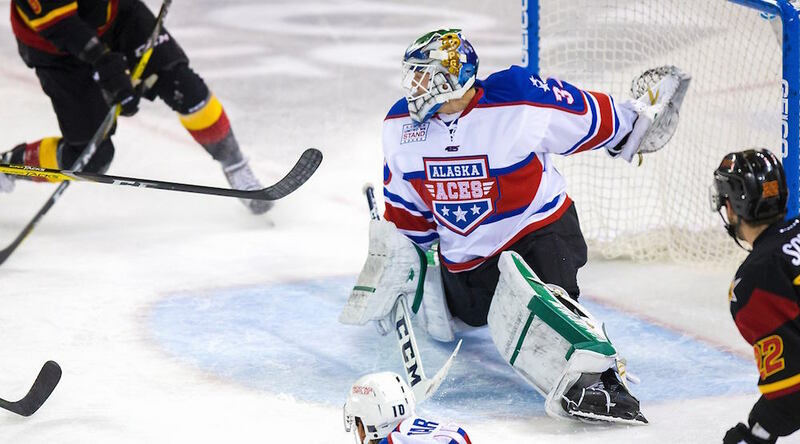 The 25-year-old has played eight games this season for the Aces, with a record of 7-1-0, a 2.35 goals against average and a .926 save percentage. Penticton added a veteran forward to its ranks today with the acquisition of forward Taylor Sanheim. The Vees picked up the junior A rights to the 20-year-old from the Portage Terriers of the Manitoba Junior Hockey League for Ty Barnstable and future considerations. Sanheim is from Elkhorn, MB and played 132 games in the Western Hockey League with the Calgary Hitmen, posting 12 goals and 39 assists, a +7 rating, along with 202 penalty minutes. He added a goal and six assists in 22 career WHL playoff games with the Hitmen. Calgary released Sanheim in early December. Barnstable had four goals and five assists in 34 games with Penticton this season. The 18-year-old is a native of Regina. The Vees were one over the allowed roster limit of 22 with the addition of Sanheim, so they released 20-year-old defenceman Gabe Bast. Per Penticton’s announcement on the move, the blueliner will sign with the junior B Surrey Knights of the Pacific Junior Hockey League. Bast has only played six games in 2016-17 due to injuries. 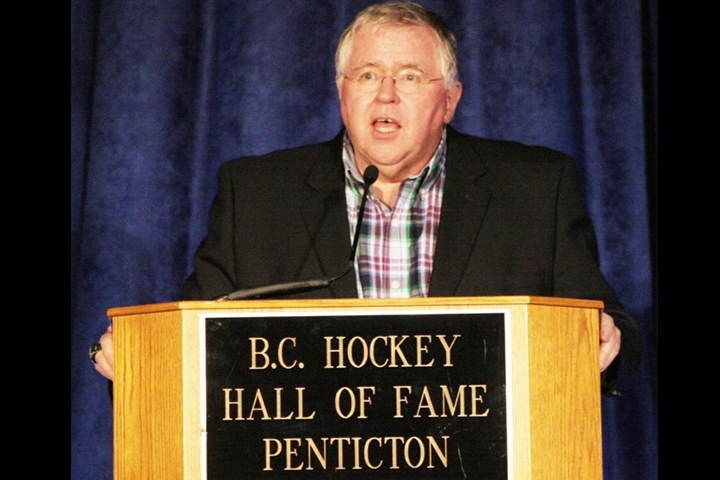 As an affiliate player, Bast will be eligible to play ten games with Penticton. Once Surrey’s season is over, he can affiliate an unlimited number of times with the Vees, as long as they don’t have more than six 20-year-old players dressed for any game. Powell River added an NHL prospect to its roster today, picking up defenceman Matthew Cairns from the US Hockey League’s Fargo Force. To sign Cairns, the Kings acquired his Canadian junior A rights from the Georgetown Raiders of the Ontario Junior Hockey League. The 18-year-old was chosen by the Edmonton Oilers in the 3rd round, 84th overall in last year’s NHL Entry Draft. He’s committed to Cornell University starting this September. The Mississauga, ON product had four assists in 17 games with Fargo this season. He posted nine goals and 24 assists in 46 games with Georgetown in 2015-16, plus three goals and 16 assists in 22 OJHL playoff games. The move puts Powell River over the BCHL roster limit by one, so there should be a corresponding move by the Kings coming soon. Forward Casey Bailey (Alberni Valley, 2009-11) has been assigned by the Ottawa Senators to Binghamton of the AHL. The Anchorage native has 14 points (nine goals, five assists) in 28 games with the Baby Sens and no points in four games in the NHL this season. With the Hockey Canada roster deadline and BCHL transfer deadline just over a week away, I’ve calculated each BCHL team’s number of roster players, number of 20-year-olds (or 1996-born) and number of imports. These numbers may change in the next eight days, but this is where they stand right now. The Canadian Junior Hockey League had a transfer freeze which was lifted on January 1st. Teams are allowed 22 players overall on their roster, of which no more than six can be 1996-born players and no more than six can be import players. Only American-born players are considered imports. Wenatchee has a completely different set of rules when it comes to what’s considered a domestic player and what’s an import. Players not considered imports for the Wild are those from Washington State, California, Colorado, and Missouri. For teams with players on injured reserve, they are allowed to fill an injured player’s roster spot with another player, even it puts the team over the roster limit of 22. This should show what some teams are able to add or subtract when the deadline arrives. All numbers for roster size, 20-year-olds and imports are calculated as currently shown on the BCHL website. As always, any corrections and comments are welcome.